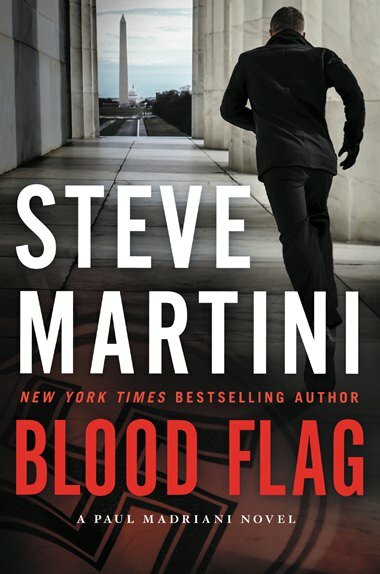 “Blood Flag,” the latest Steve Martini legal thriller featuring attorney Paul Madriani and his partner, Harry Hinds, starts with what seems to be a simple case, but soon escalates into a scenario with international ramifications. Emma Brauer’s father, Robert Bauer, was 89 and in ill health. The police believe she killed him to ease his suffering — and also insure she wasn’t removed from his will. Emma denies all the accusations, and hopes Madriani can prove her innocence. Madriani asks Sofia, his new legal assistant, to look into a mysterious package consisting of a slip of paper and a key that was left at Robert’s house shortly before he died. He waits on Monday morning for her to come into the office with her report, but she doesn’t arrive. He then gets the call that Sofia’s body has been found near Robert’s house. The package has ties to the time when Robert was in the military. At the end of World War II, Robert and his team were stationed in Munich. 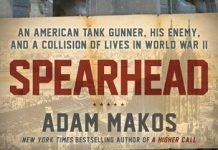 Madriani figures out members of the unit have all died under odd circumstances, and it might be due to the search for a “Blood Flag,” a Nazi flag used by Hitler. Martini knows how to craft suspenseful and twist-filled legal thrillers, and Paul Madriani is a modern-day Perry Mason with his pursuit of the truth.